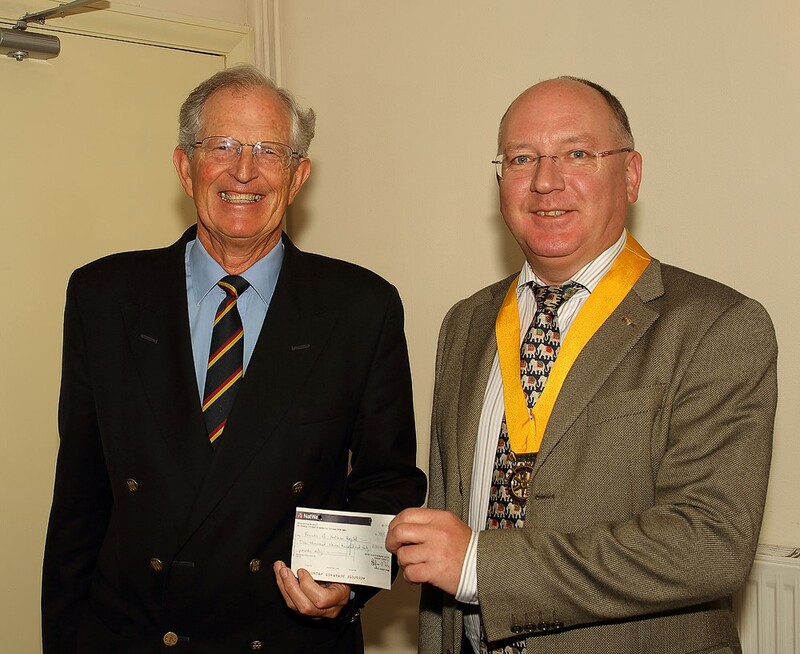 The Rotary club of Sherborne Castles deserves its reputation as an active club which organises professionally run major projects in our town, in aid of charity. Many of our events have become regular fixtures in the town. This event held on the day before our Hidden Gardens event, was very much enjoyed by those who attended, and the Wriggle Valley Band were on top form. Mike Hatch, Chairman of the Friends of the Yeatman Hospital receives the cheque. This event raised a total of £2,660 of which £1,330 was presented to Friends of the Yeatman in Sherborne. There is a plan to establish a second end of life care unit in The Willows to supplement the Jean King Suite and this sum will help to achieve this. This event is always popular and good weather ensured plenty of visitors to the 20 gardens kindly opened for the weekend by Sherborne residents, to raise funds for charity. The total surplus from the event was £4,600 which will be shared between Marie Curie and St Margaret’s Hospice and other local charities. We are very grateful to our sponsors Churchouse, who donated wine for the thank you party for garden owners, which was held on Sunday evening. Held at Sherborne Golf Club, this was a great day with 17 teams, and support from hole sponsors and providers of auction prizes, ensured this event created a surplus of £3,671. Of this sum £3,000 is to be given to St Margaret’s Hospice in memory of Michael Peart, and the balance will be held in charitable funds for local donations. Thanks to everyone who contributed to the success of this event. What a day to remember. So many cars and so many people enjoying a great day out. Some 8,000 people and 1,300 cars were on site at Sherborne Castle on Sunday 20th July to enjoy the 12th annual Classics at the Castle event. This is the second year that this event has been run as a partnership between the Rotary Clubs of Sherborne Castles and Yeo Vale.